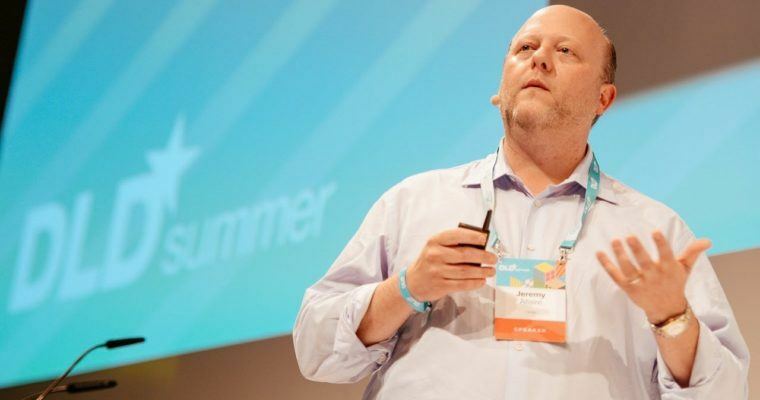 The Circle CEO Jeremy Allaire said that humanity will not be able to survive the digital age without the usage of crypto since its decentralized nature and resiliency has made it indispensable. Allaire also made a few remarks at the 2019 World Economic Forum in Davos, Switzerland. Allaire went on to say that cryptocurrency skeptics were merely mostly negative since they were not familiar with the new technology. But Jeremy Allaire insisted that the central banks and the crypto ecosystem could co-exist. Allaire said- “We are huge proponents of central bank digital currency and we believed in that since a really long time, Our view is that the creation of cryptocurrencies which are based on central bank money is happening in the private sector initiatives. We also launched USD Coin last fall. It’ has been growing rapidly since then.” Allaire said that cryptocurrencies were versatile since they had the ability to run over a blockchain which worked interoperably along with tens of millions of digital wallets around the world. It could also be used in lending transactions, payment transactions. It allows users to make dollar payments, all over the world, at pennies and in matters of seconds to minutes, which is why it can be considered as a really powerful innovation. Jeremy Allaire, in fact, double-downed on his bullish kind of outlook from December 2018. Bitcoin is at its peak in the bearish market, and Allaire has predicted that the bitcoin price would rocket over the next three years. If bitcoin’s daily price is not considered, Allaire believed that bitcoin has a “very significant role” in playing as a scarce, non-sovereign store of value. But it looks like not everyone at Davos is bullish regarding cryptocurrencies. Huw van Steenis, the senior adviser to Bank of England Governor Mark Carney reportedly trashed crypto and considered it worthless. The CEO of PayPal, Dan Schulman also seemed skeptical and stated that bitcoin could achieve mass adoption by merchants since it is not a currency, it is just that it is inconvenient. Schulman said- “We haven’t seen many retailers accept most/any of the cryptocurrencies,” People on Twitter reacted to Schulman’s anti-bitcoin shade by stating that less than 1% of the world was using PayPal when it initially launched. And it is famous globally now. The takeaway is: Revolutions indeed take time.